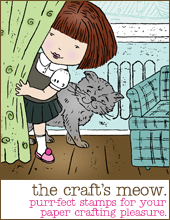 Welcome to day 2 of the September release previews at The Craft's Meow! Five brand new stamp sets will be released on the 21st of September. 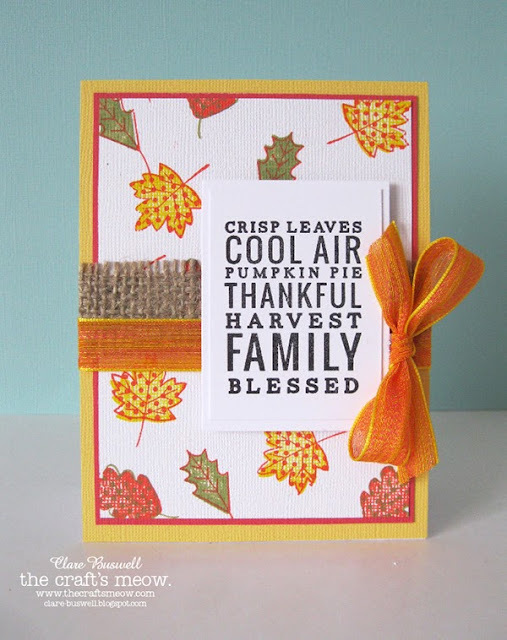 Today we're previewing Speaking of Fall, a brand new stamp set illustrated by Angelica Suarez. It's a 4x6 inch stamp set and really versatile! I love Autumn sets! There are three step stamping options with the leaves in this set, perfect for stamping backgrounds. I used the fab Memento Luxe inks to stamp my background, I used Dandelion, Morocco and Pistachio. This set is this month's free gift with $60 purchase but is also available to purchase separately. 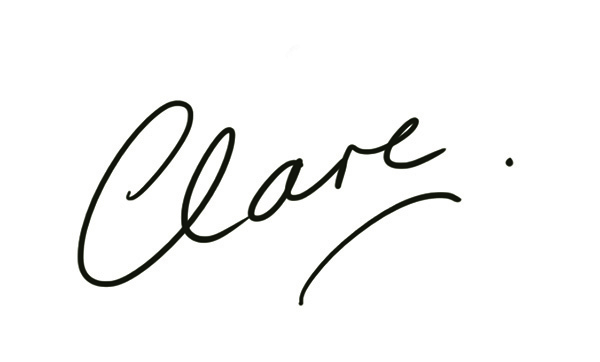 Clare, I love that you used all three steps to create your card. 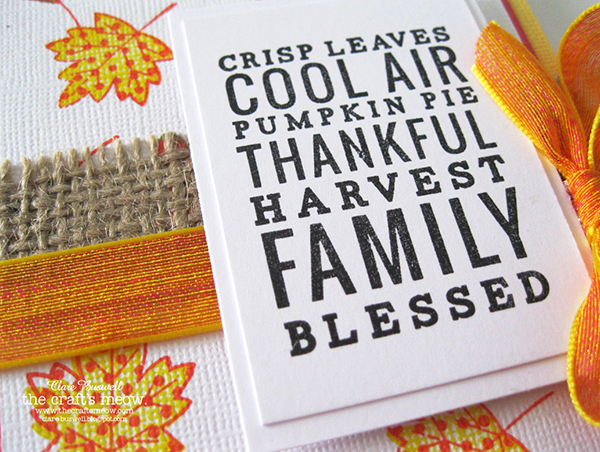 The burlap is a perfect touch along with the popped up sentiment. So gorgeous! Ah Autumn is here and the trees are starting to turn, ever so slowly...your card Clare captures the magic ahead. Love it.